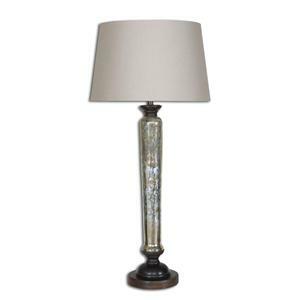 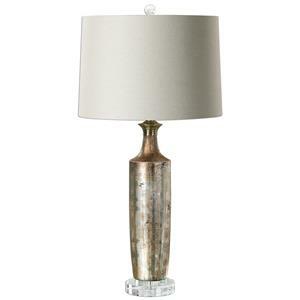 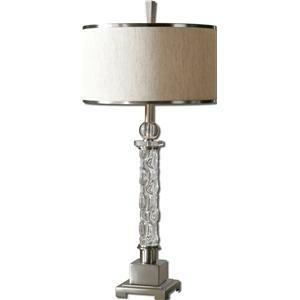 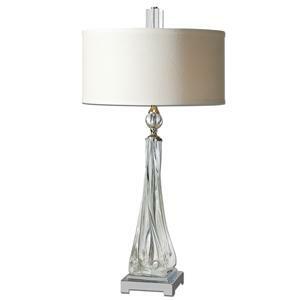 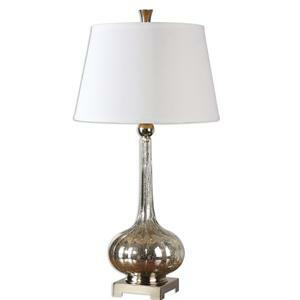 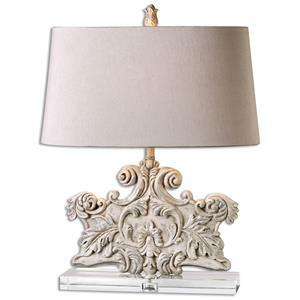 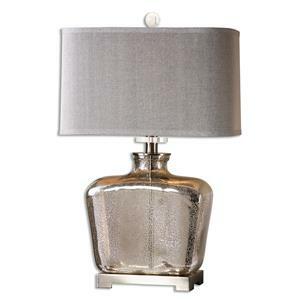 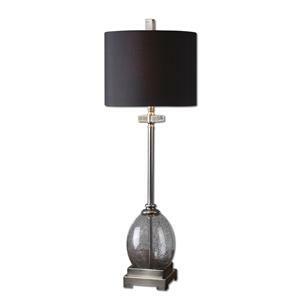 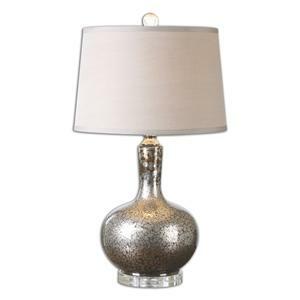 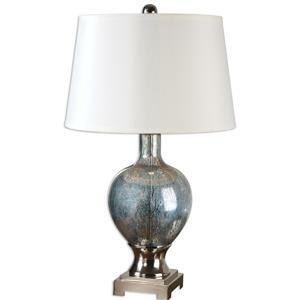 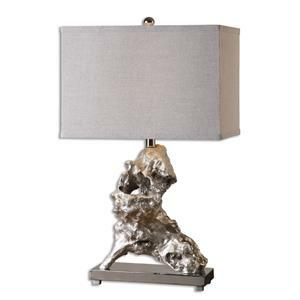 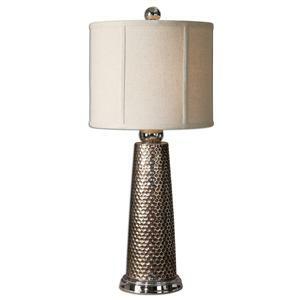 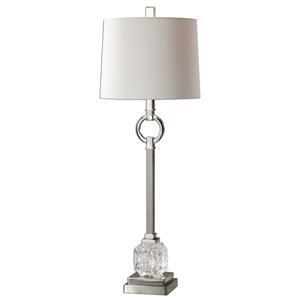 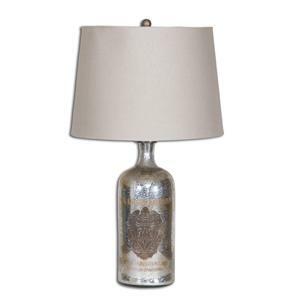 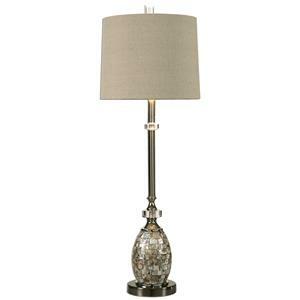 This lamp is heavily distressed and lightly antiqued with a silver–champagne leaf finish accented with a crystal foot. 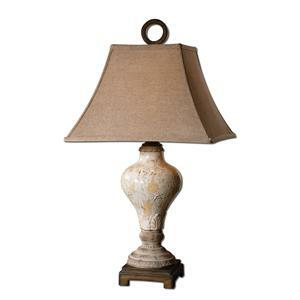 the round, tapered hardback shade is off-white linen fabric with heavy slubbing. 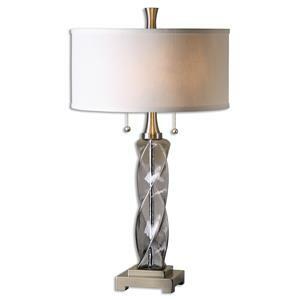 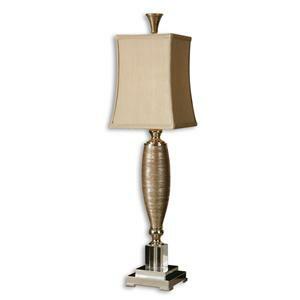 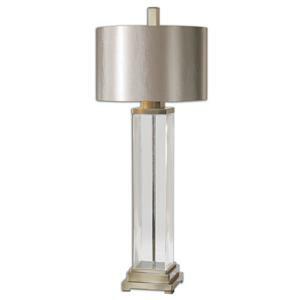 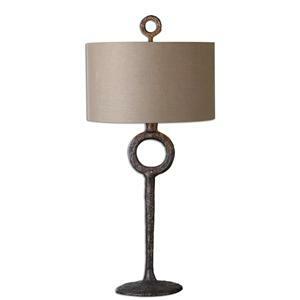 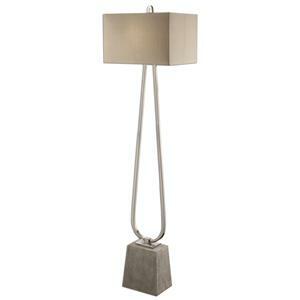 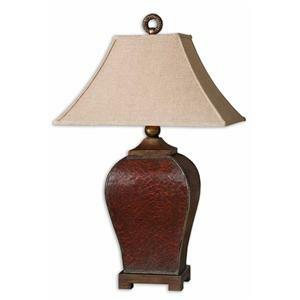 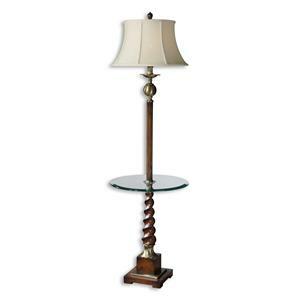 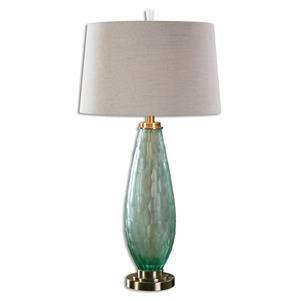 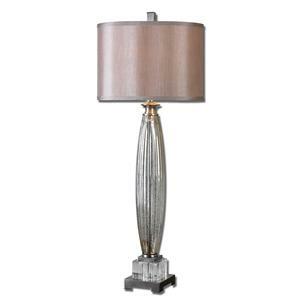 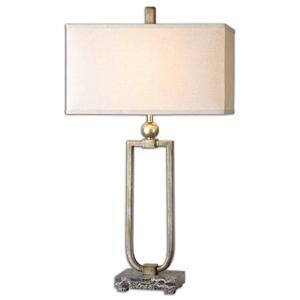 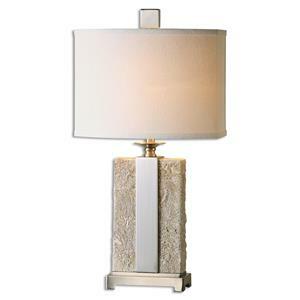 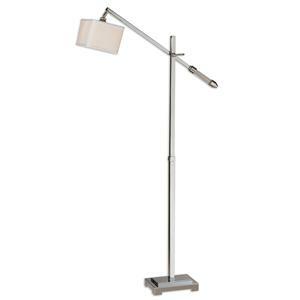 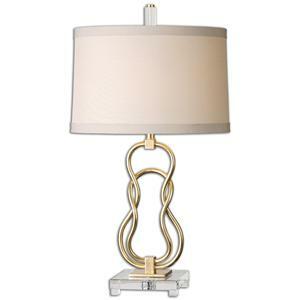 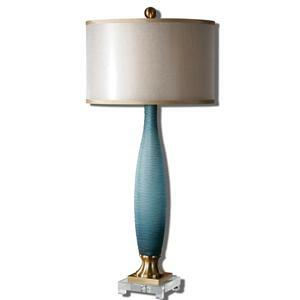 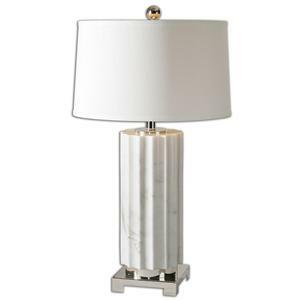 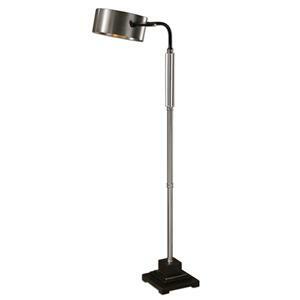 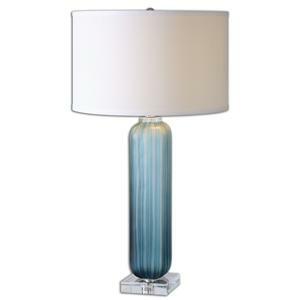 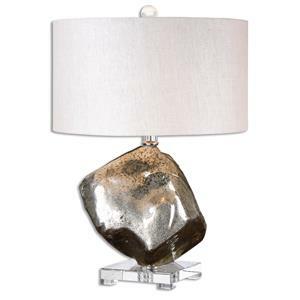 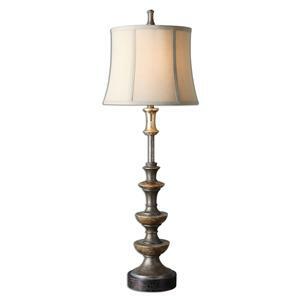 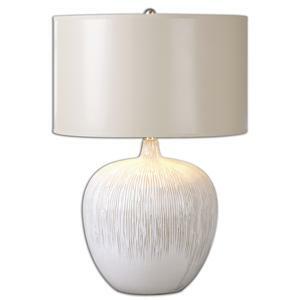 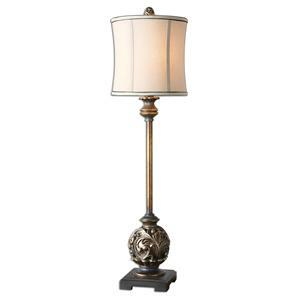 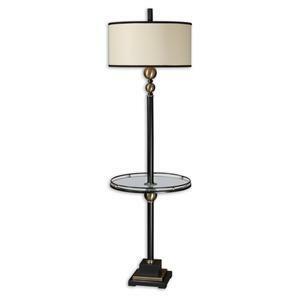 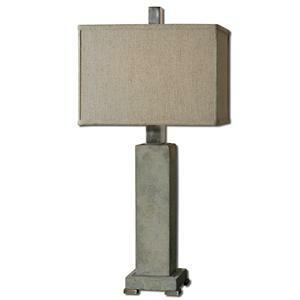 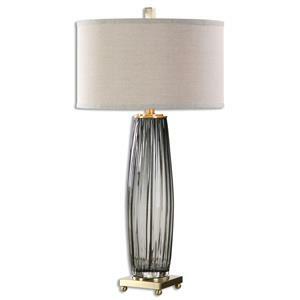 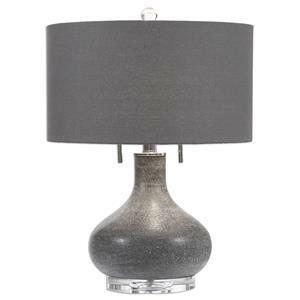 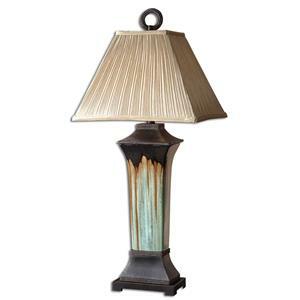 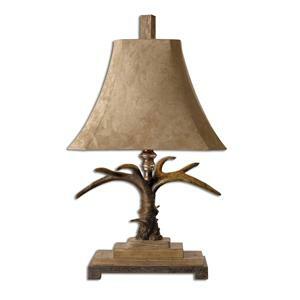 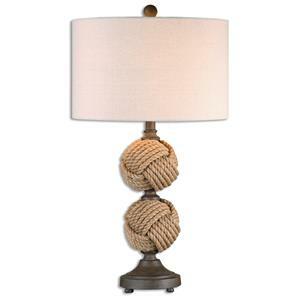 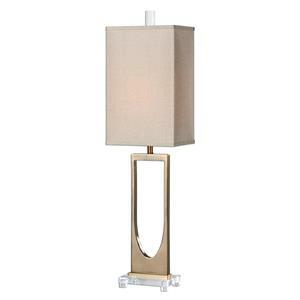 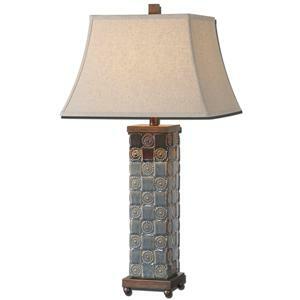 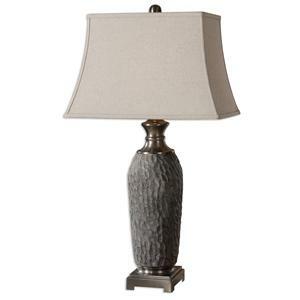 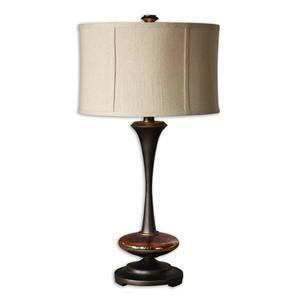 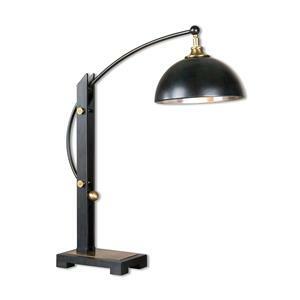 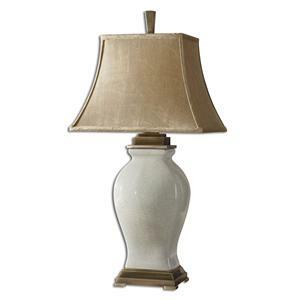 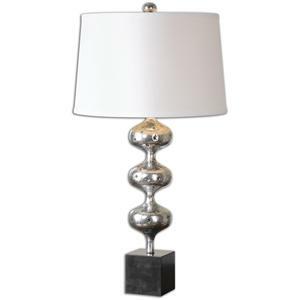 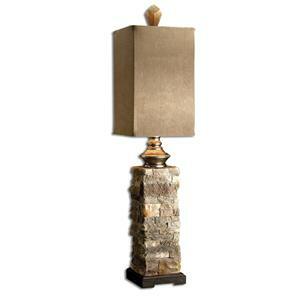 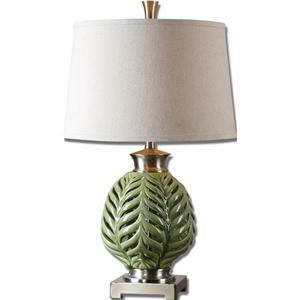 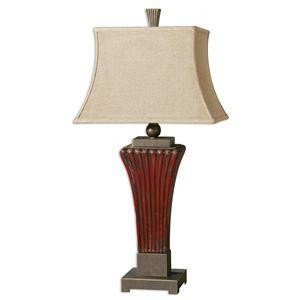 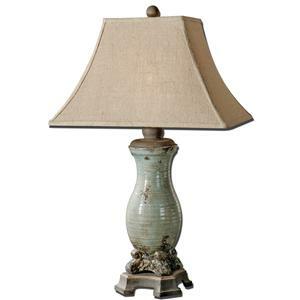 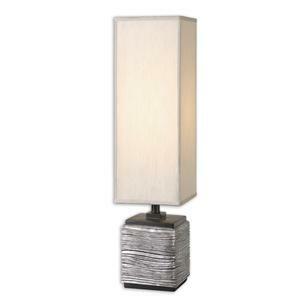 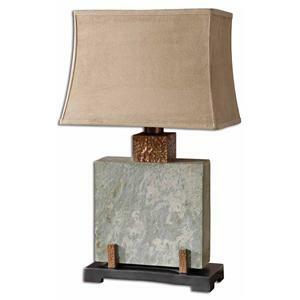 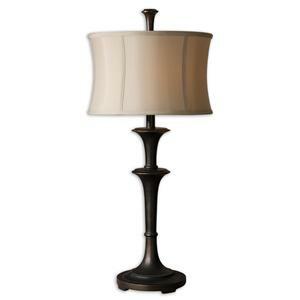 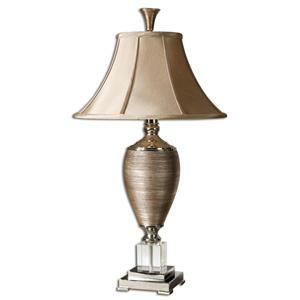 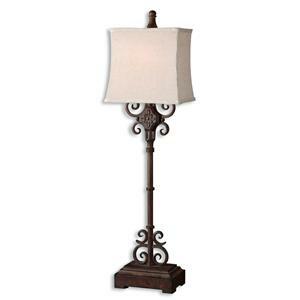 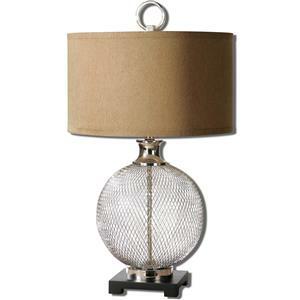 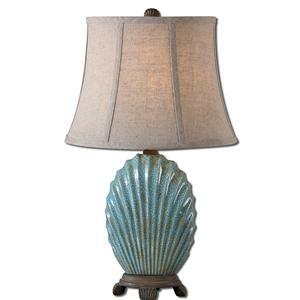 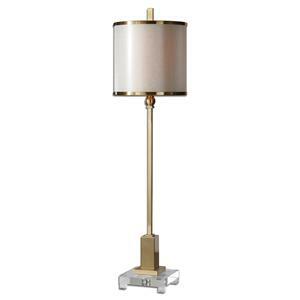 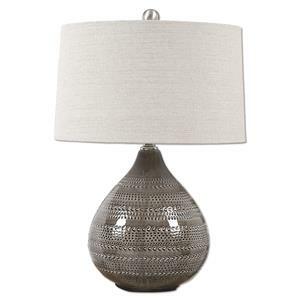 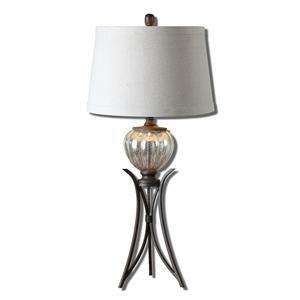 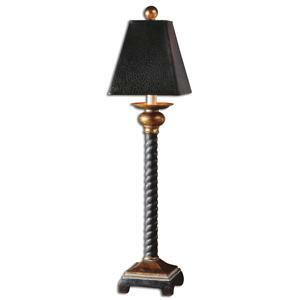 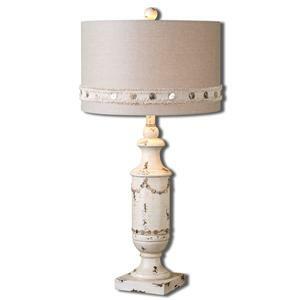 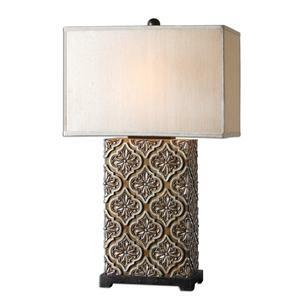 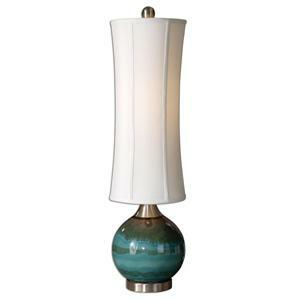 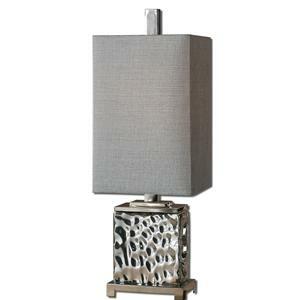 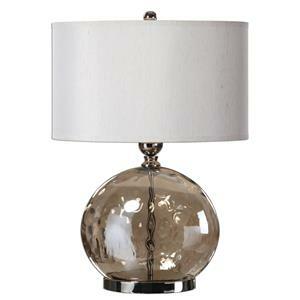 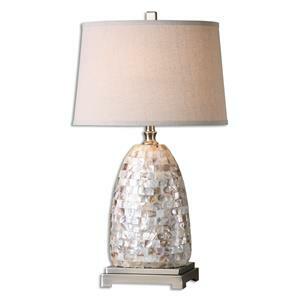 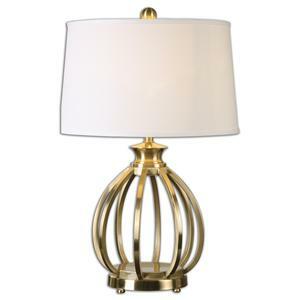 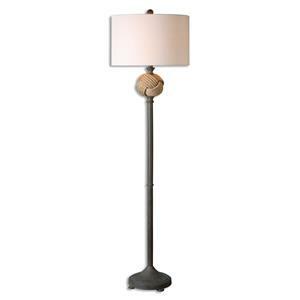 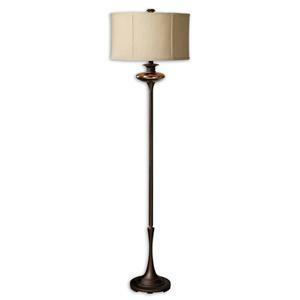 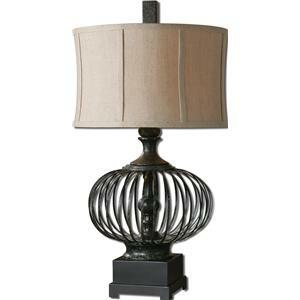 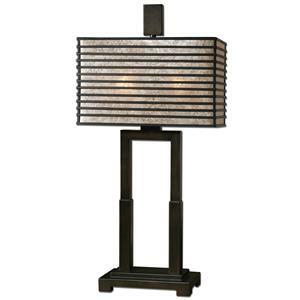 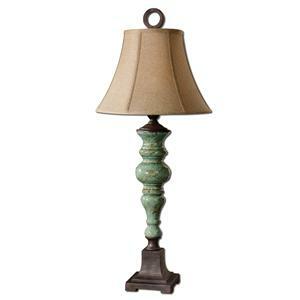 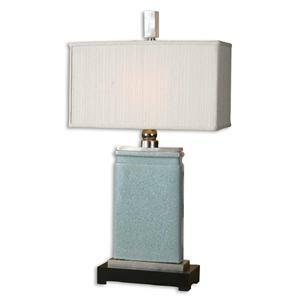 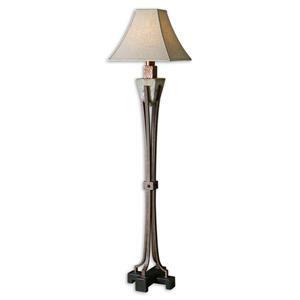 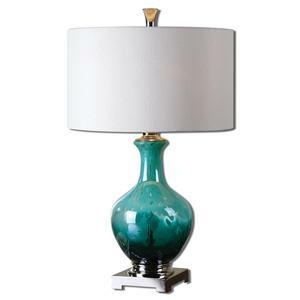 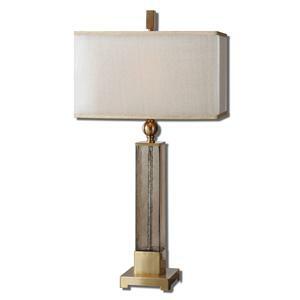 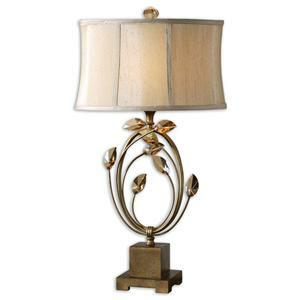 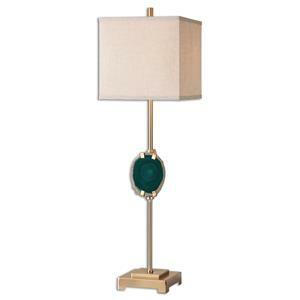 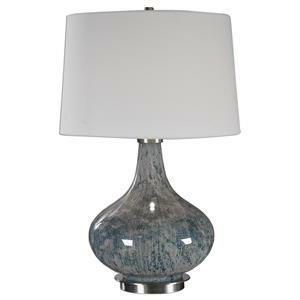 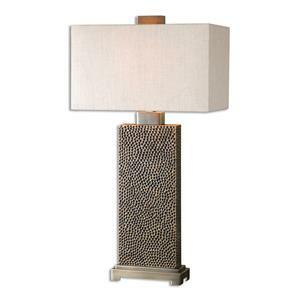 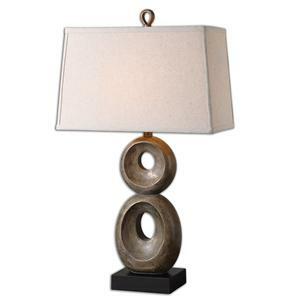 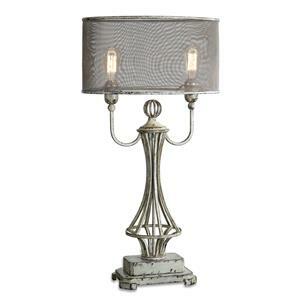 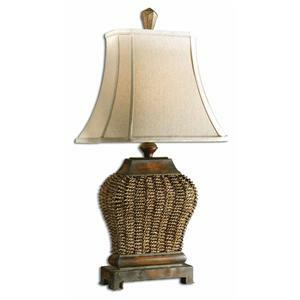 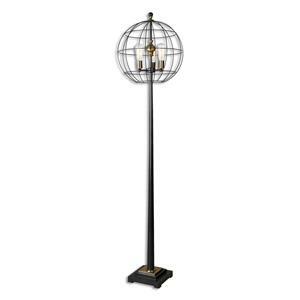 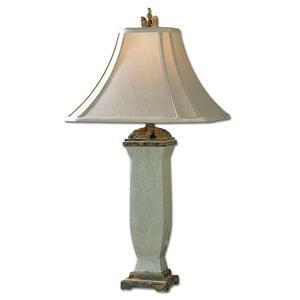 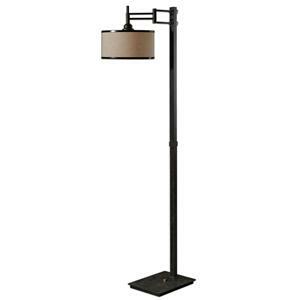 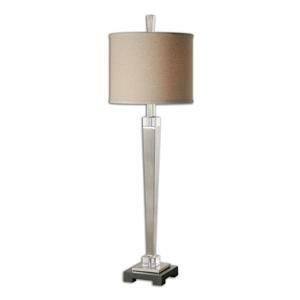 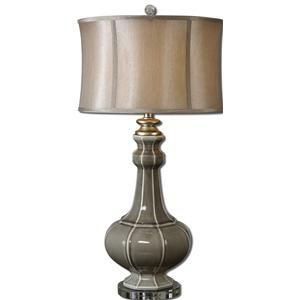 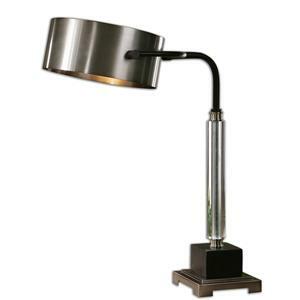 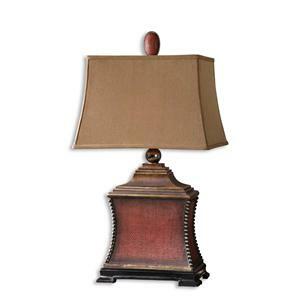 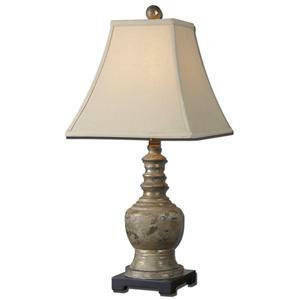 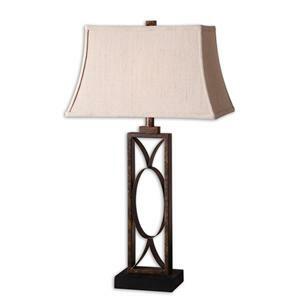 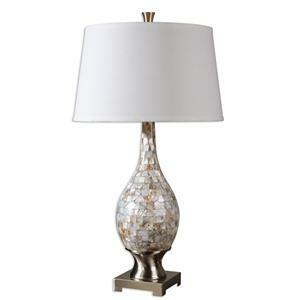 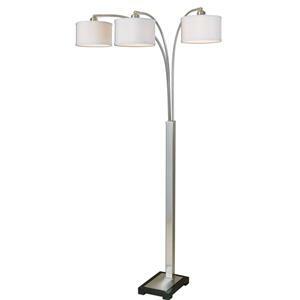 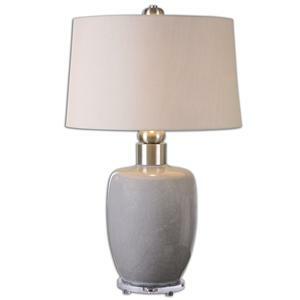 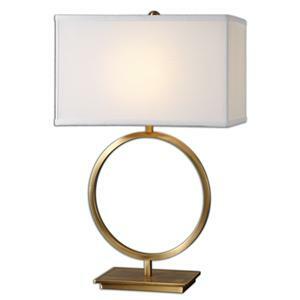 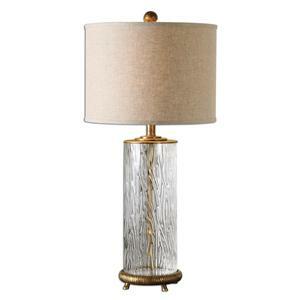 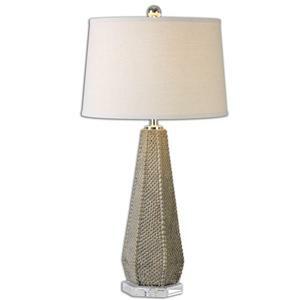 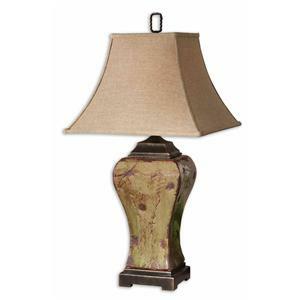 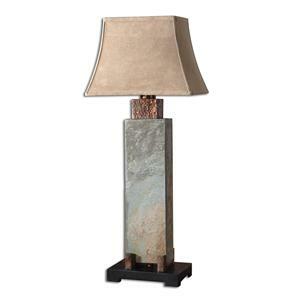 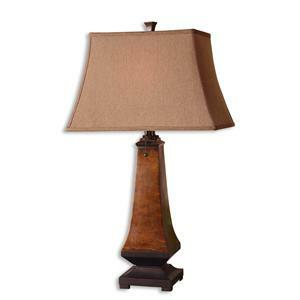 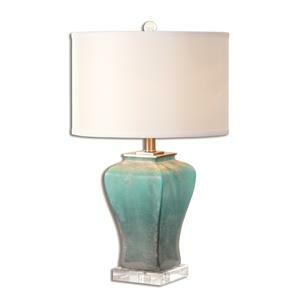 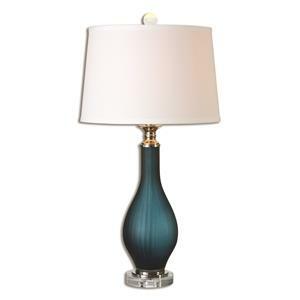 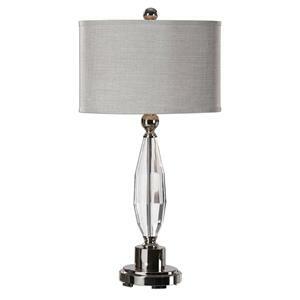 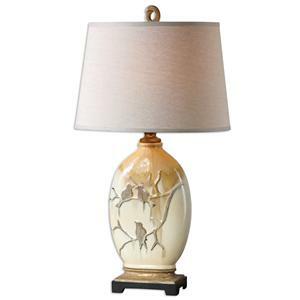 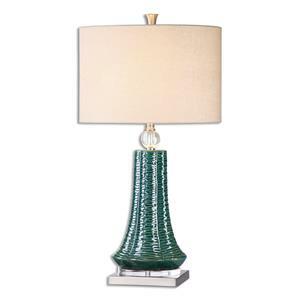 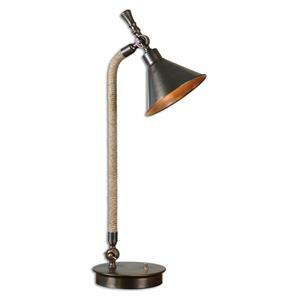 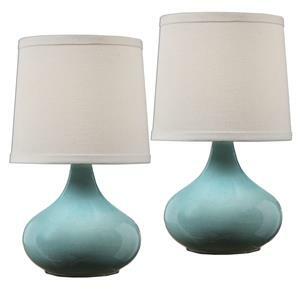 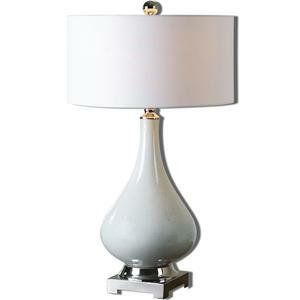 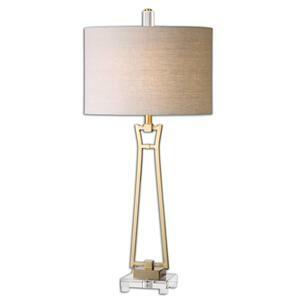 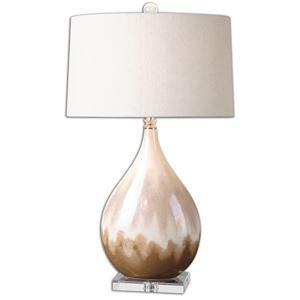 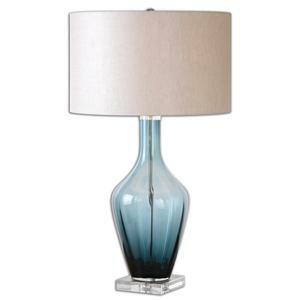 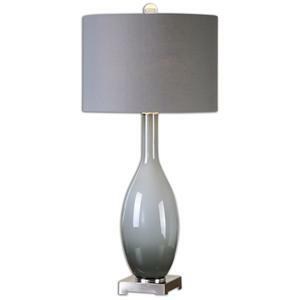 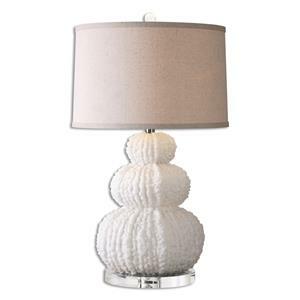 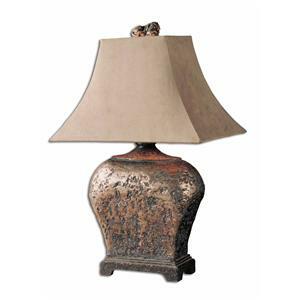 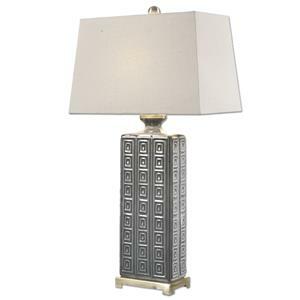 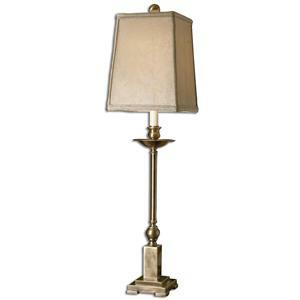 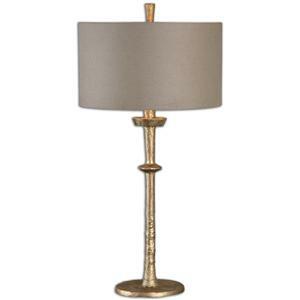 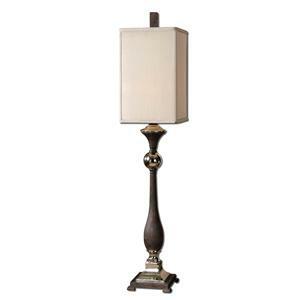 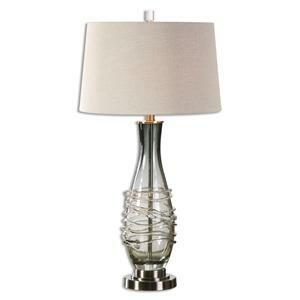 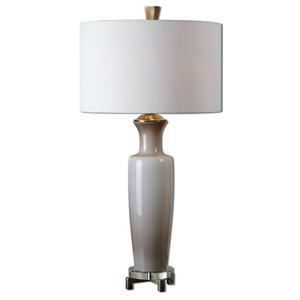 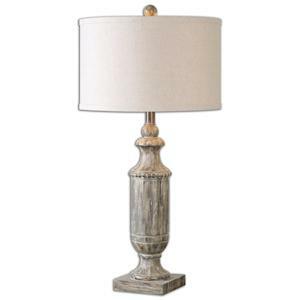 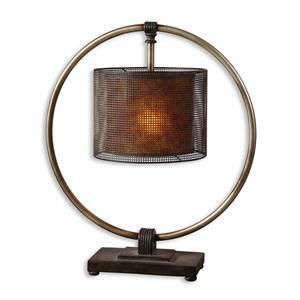 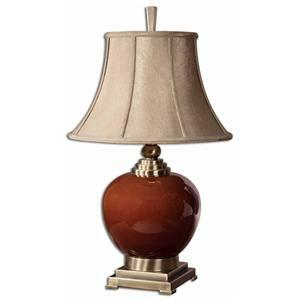 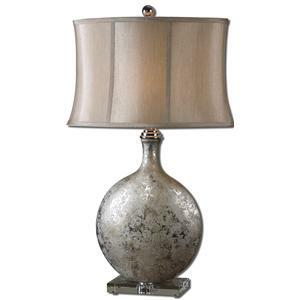 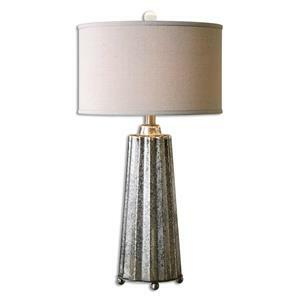 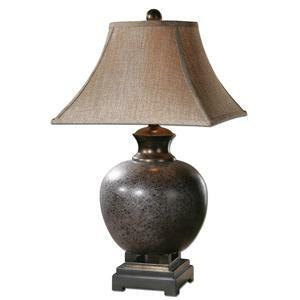 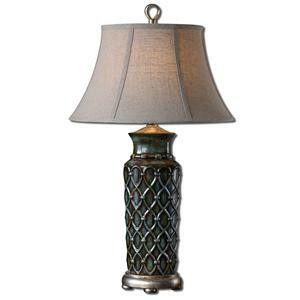 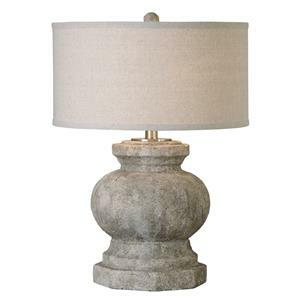 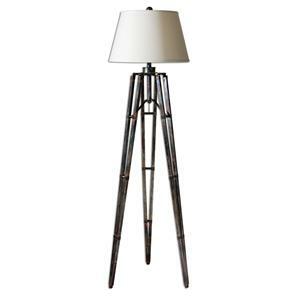 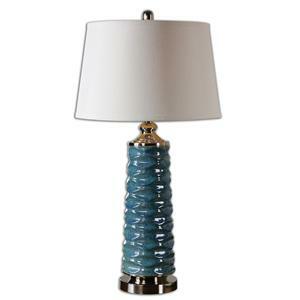 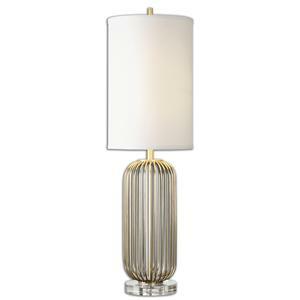 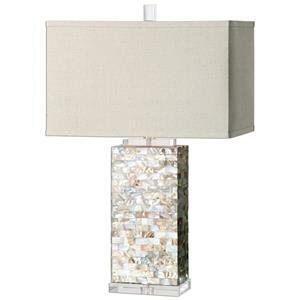 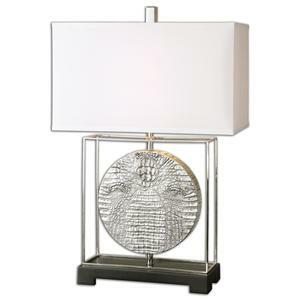 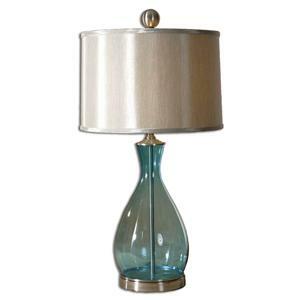 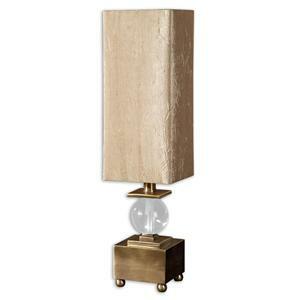 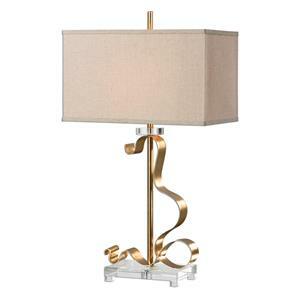 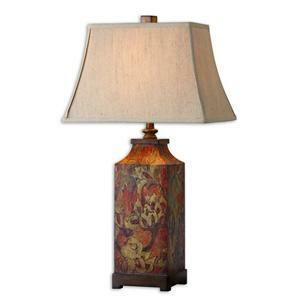 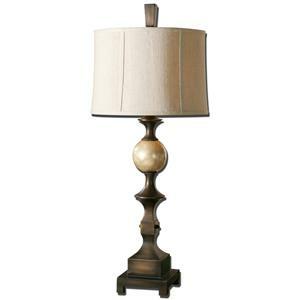 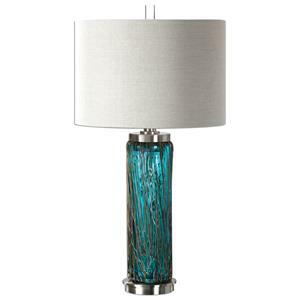 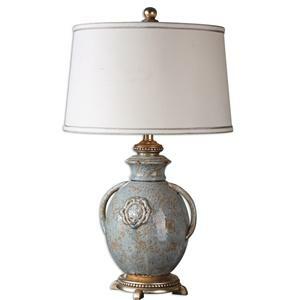 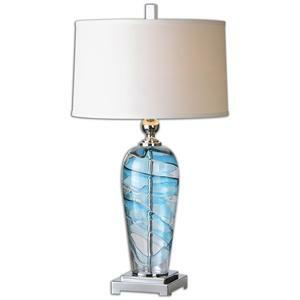 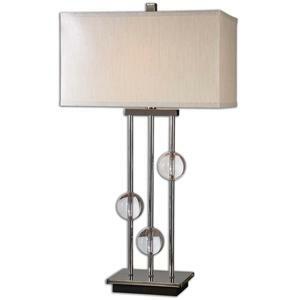 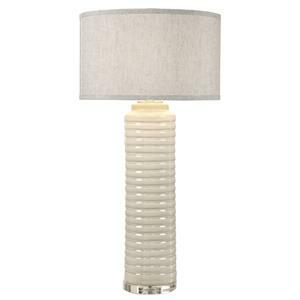 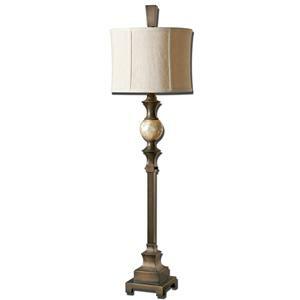 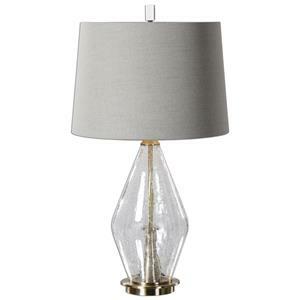 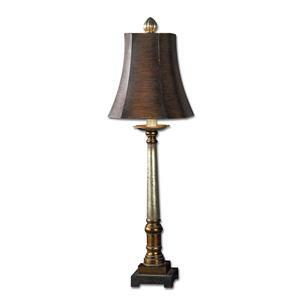 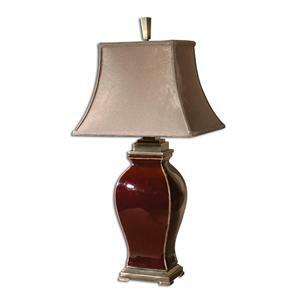 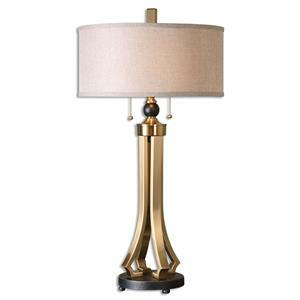 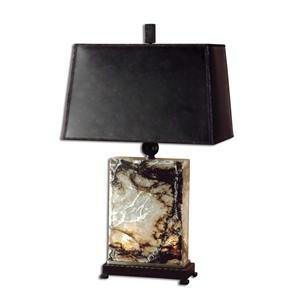 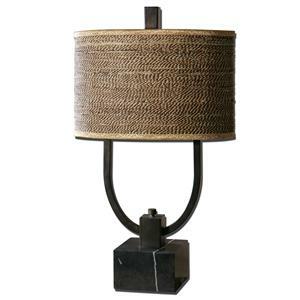 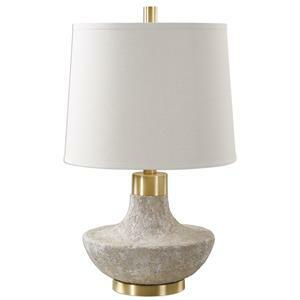 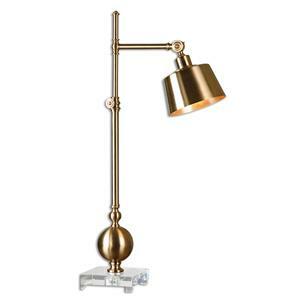 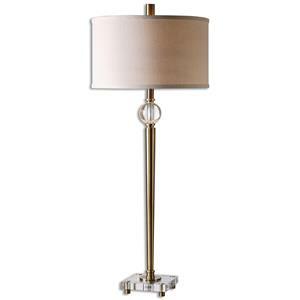 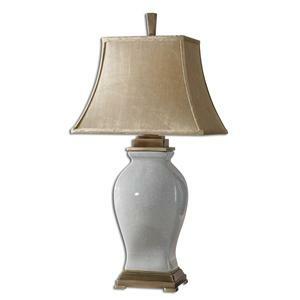 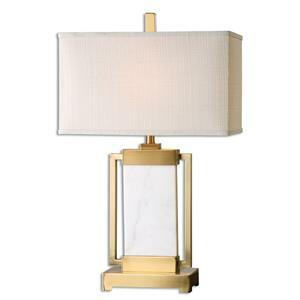 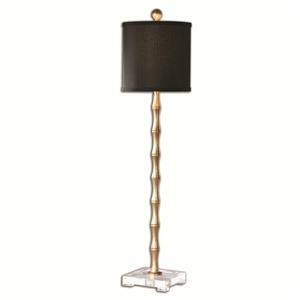 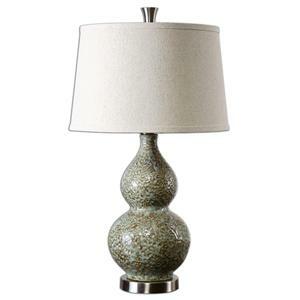 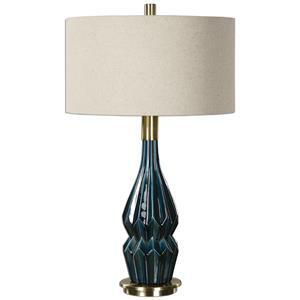 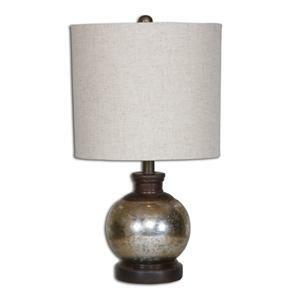 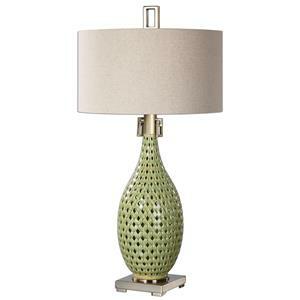 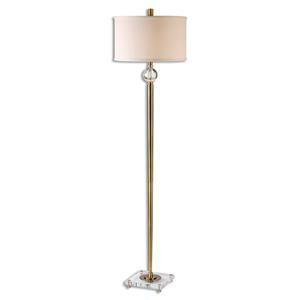 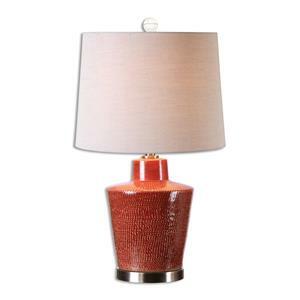 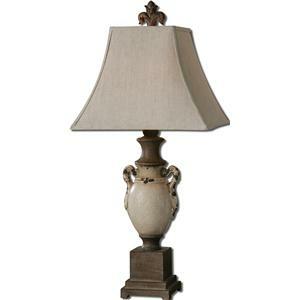 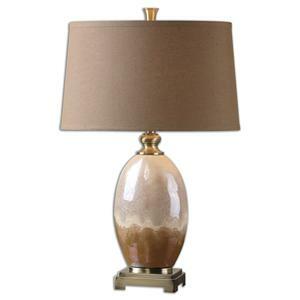 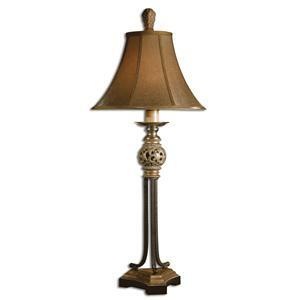 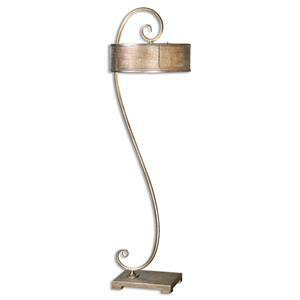 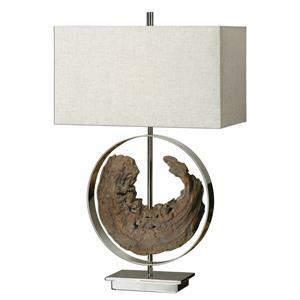 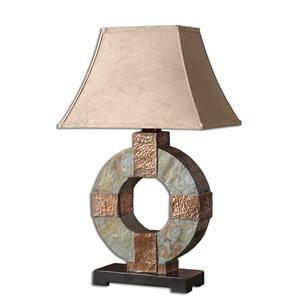 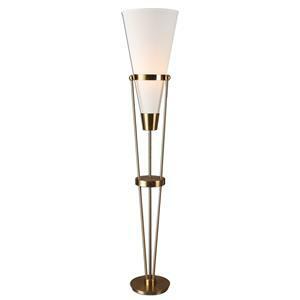 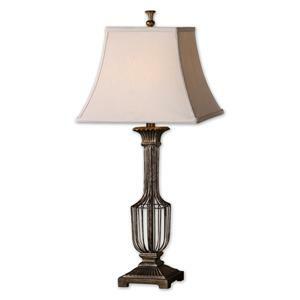 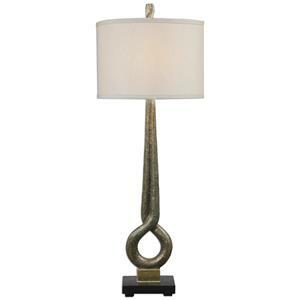 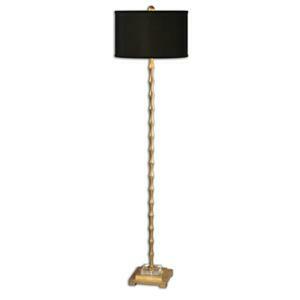 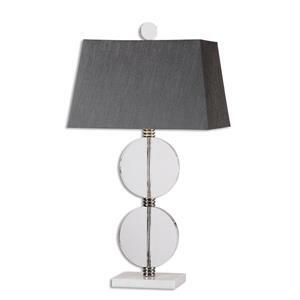 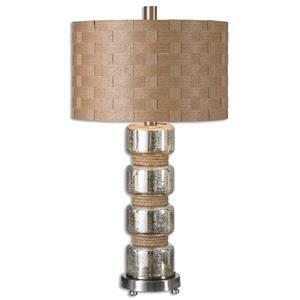 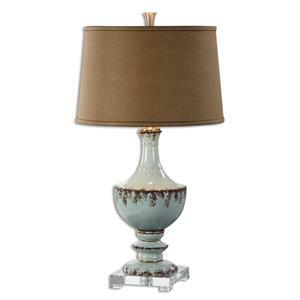 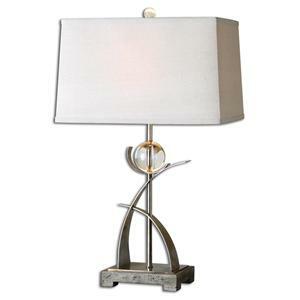 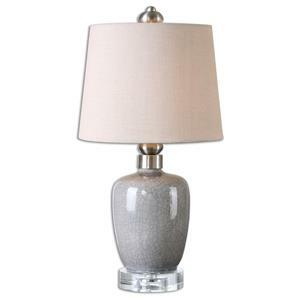 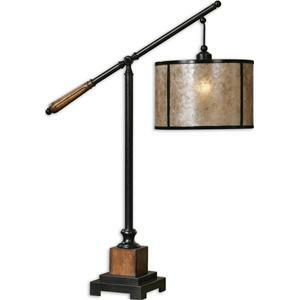 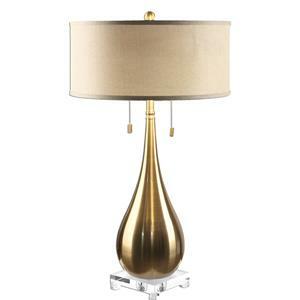 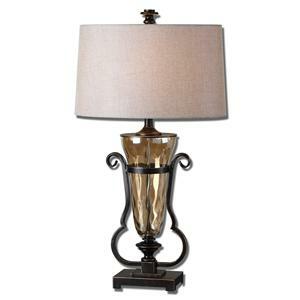 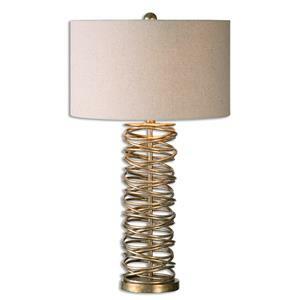 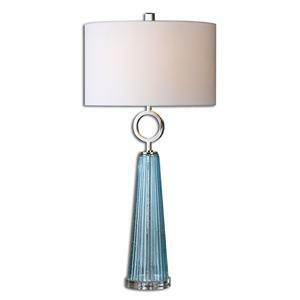 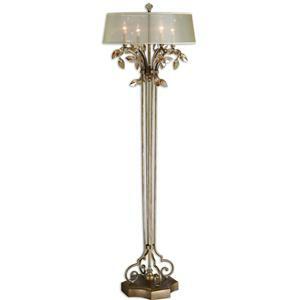 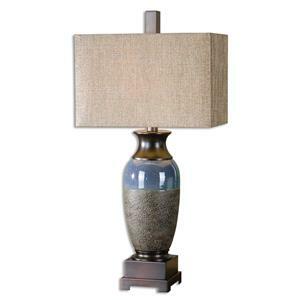 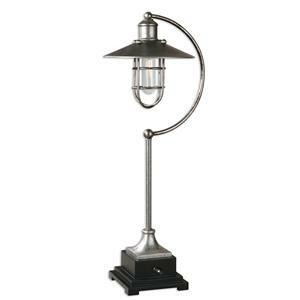 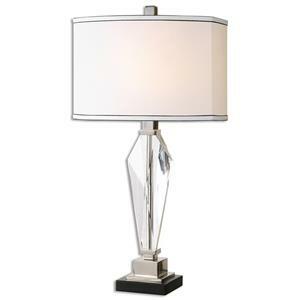 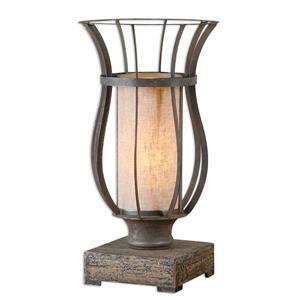 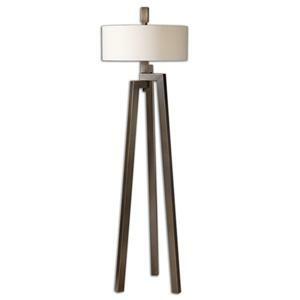 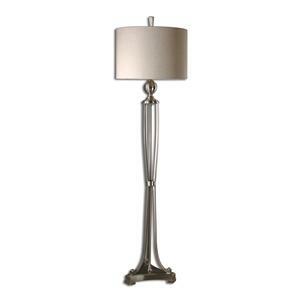 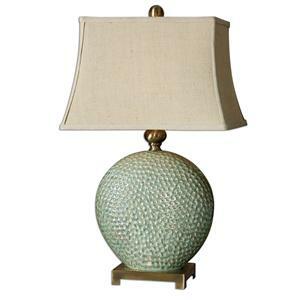 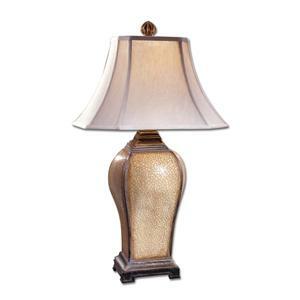 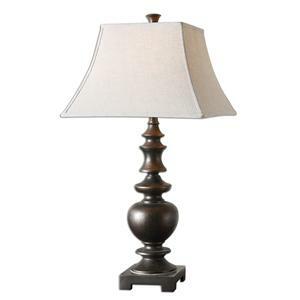 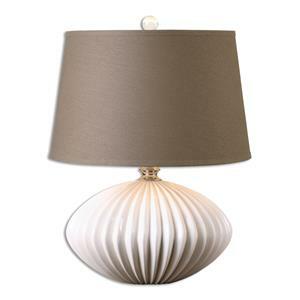 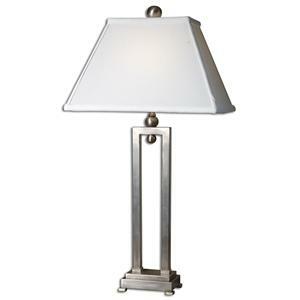 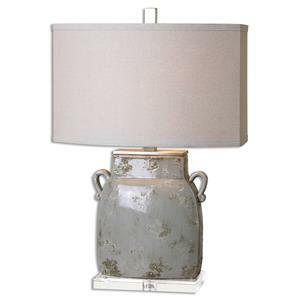 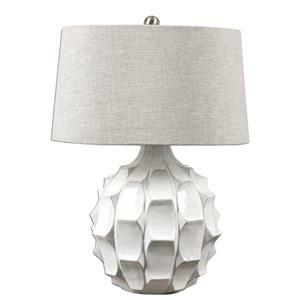 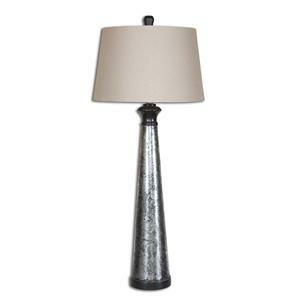 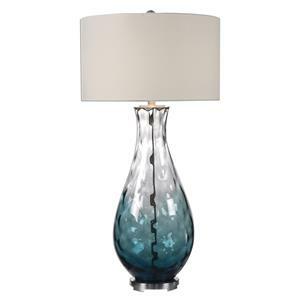 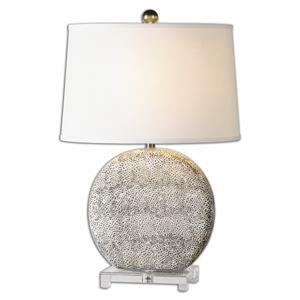 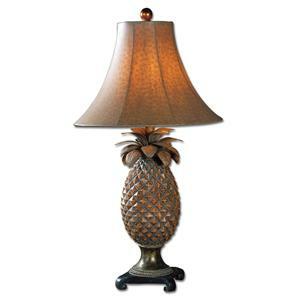 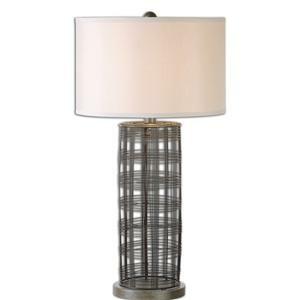 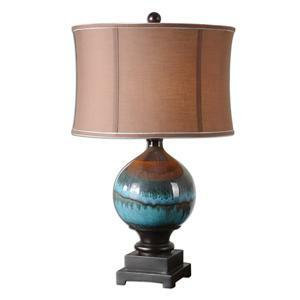 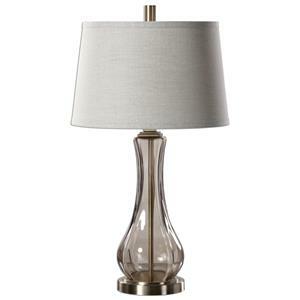 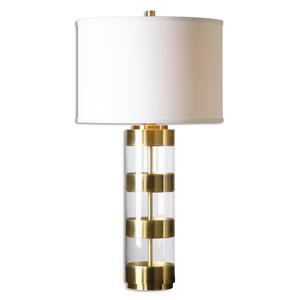 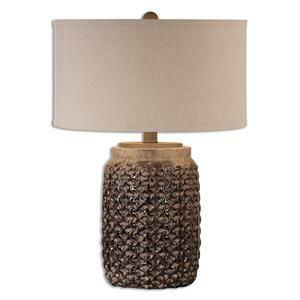 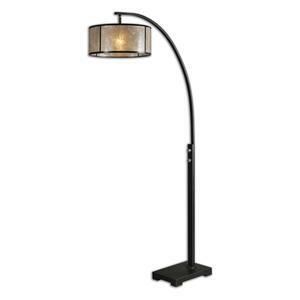 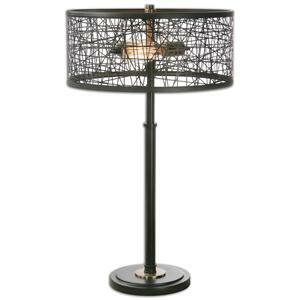 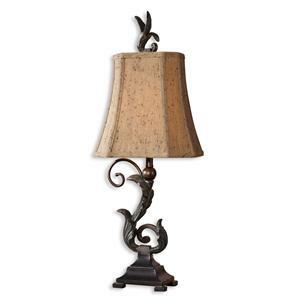 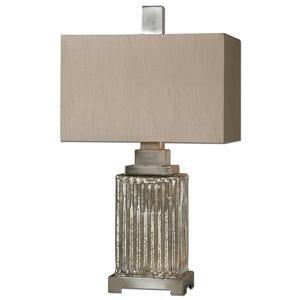 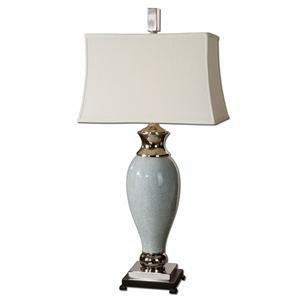 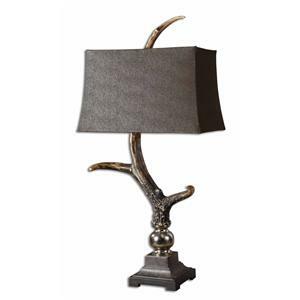 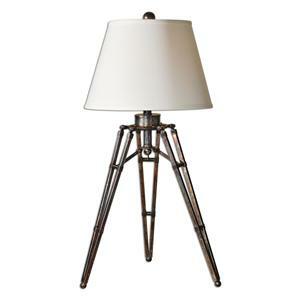 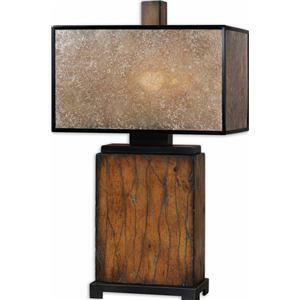 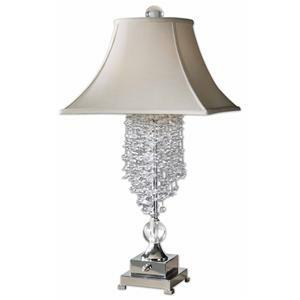 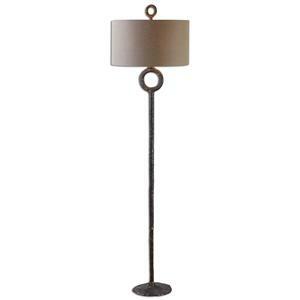 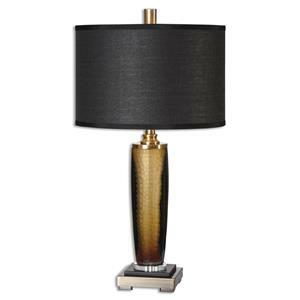 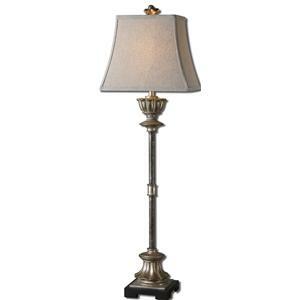 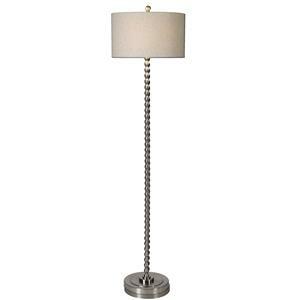 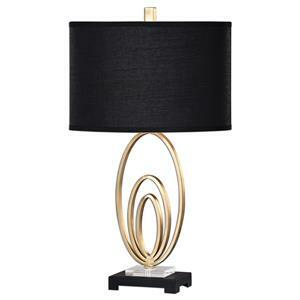 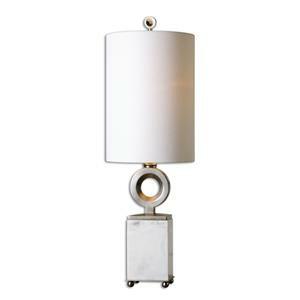 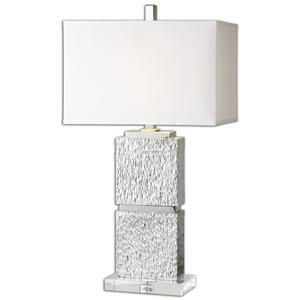 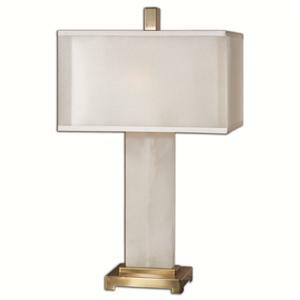 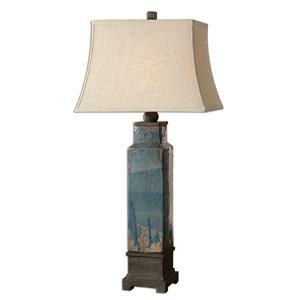 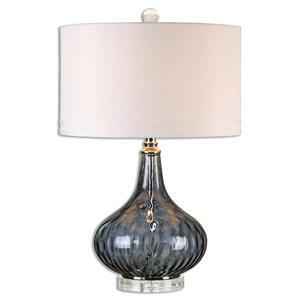 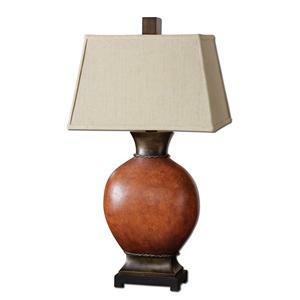 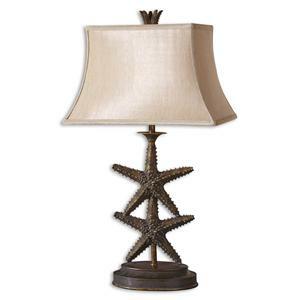 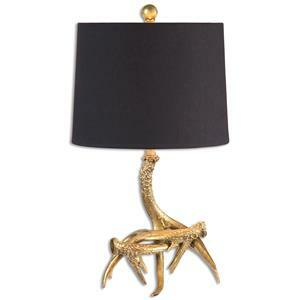 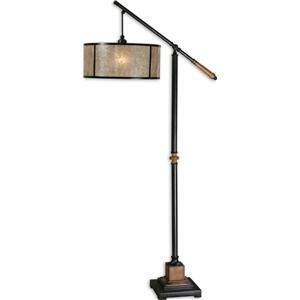 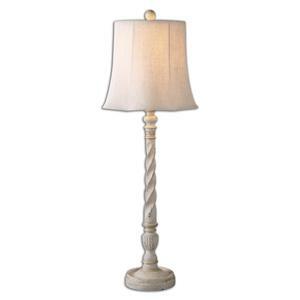 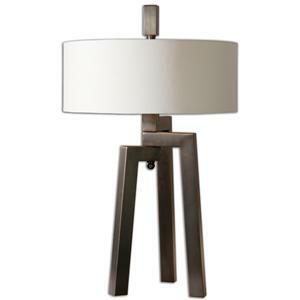 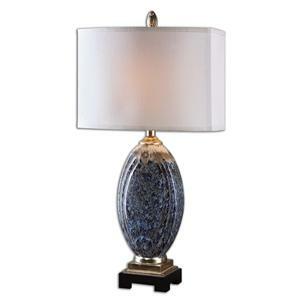 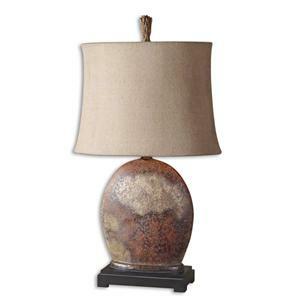 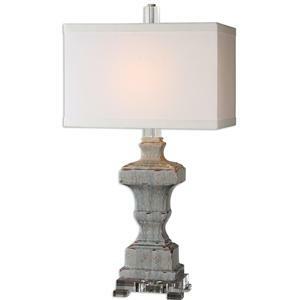 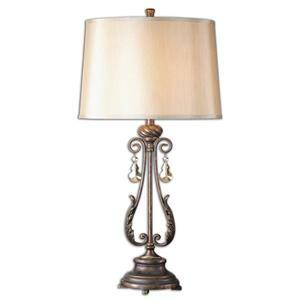 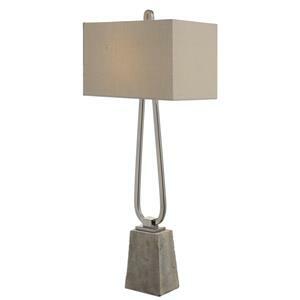 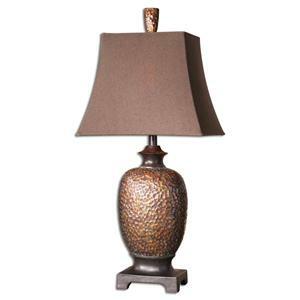 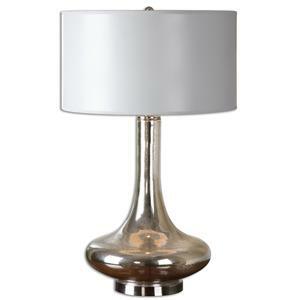 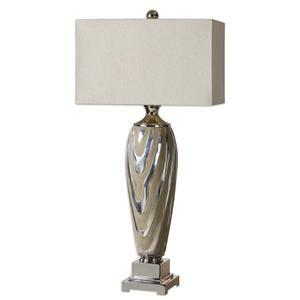 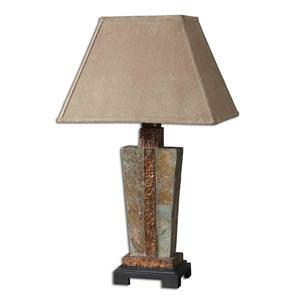 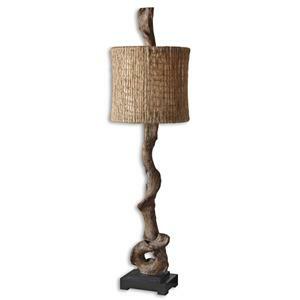 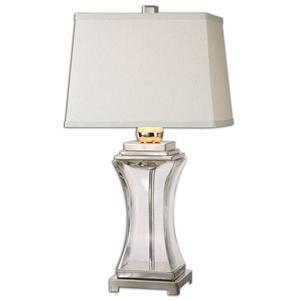 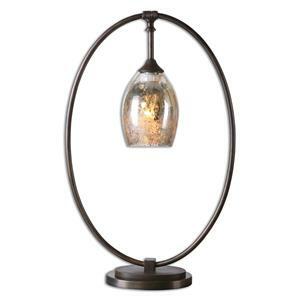 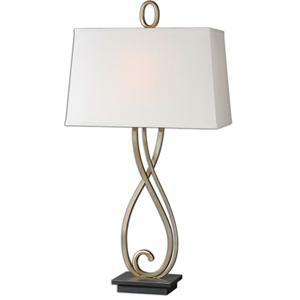 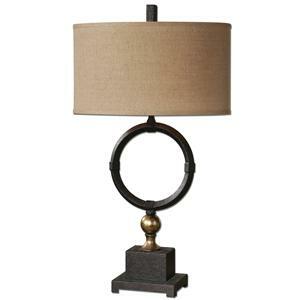 The Lamps Palouse Champagne Leaf Lamp by Uttermost is available in the area from BigFurnitureWebsite.